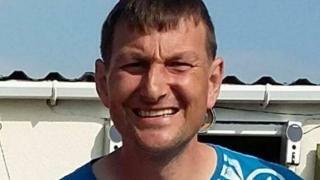 A 43-year-old man has appeared in court after being charged with the murder of a man who was found dead in a flat in Flintshire on Wednesday. Christian Francis Williams from High Street, Bagillt, is accused of killing 42-year-old father Andrew Hamilton. Judge Rhys Rowlands set a provisional trial date of 16 January 2019 after Mr Williams appeared at Mold Crown Court on Monday. Mr Williams has been remanded in custody until the trial.